The Internet is one of the quirkiest things humanity has ever invented. We all fancy it. But have we really understood its potential in terms of developing a good society? Maybe or maybe not. But one thing is clear that we haven’t been able to digest the real use of internet well yet! For years, internet connectivity has been boasted to be a clean technology. 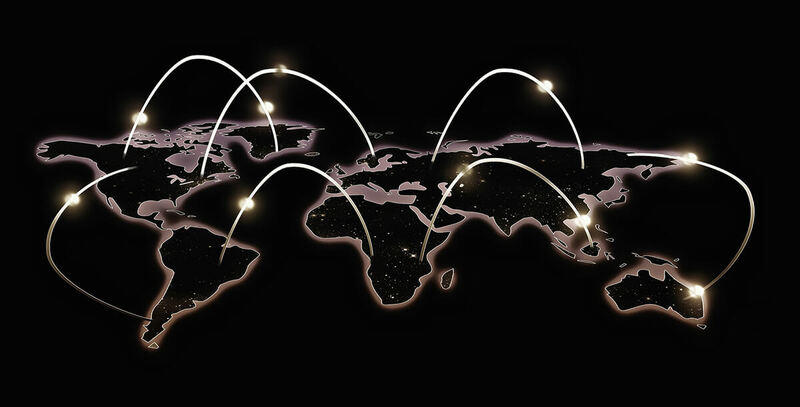 Of course, when every nook and corner of the world gets connected, it should bring in a significant amount of environmental and economic gains at the upfront – the workplace gets digitised, telecommunication networks gets dematerialised, the number of commuters reduces – basically, every routine task picks up speed and efficiency with the mobile connectivity. However, as per the new report from mobile operator O2 (a leading digital communications division of Telefonica, UK), we have barely begun to have those environmental and economic gains. Nevertheless, clinging to the positive side of the aspect is as important as sticking to the reality. And this positive side has come in the form of 5G mobile connectivity – the 5th generation of mobile network connectivity. Almost everyone anticipates that 5G will bring in tremendous gains for smart cities around the world. Advocating the fact, the O2 has published one more report that suggests the faster speed and universal connectivity promised by 5G could pave a way to the significant amount of gains, smart cities have been talking about so far. 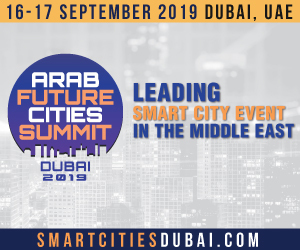 So, let us explore the smart city gains 5G has to offer. It is more than just increased connectivity or bandwidth. Will 5G Prove To Be A Game Changer For Smart Cities? Every generation of mobile connectivity has brought us something new. The first generation (1G) introduced the analog voice calling which was expensive, unreliable and was used by very few. The second generation (2G) brought in the digital voice calling which increased the number of subscribers and was cheap. Then came 3G which spread the new trend of mobile internet – use of smartphones and in particular the apps proliferated. Now what we are using is 4G (also known as LTE) that paved way for mobile broadband, the explosion of social media and the instantaneous cab hiring services. So, we see that every generation of internet connectivity has ushered in a new trend in the society. And the impact of the trend is so powerful that it has changed the way we live – completely different from the life before 20 years. Lately, we have been talking about 5G that will usher in a new era of driverless cars, smart buildings and much more. It will densely connect the world more than ever taking Internet of Things (IoT) to the next level of advancement. As per the predictive analysis of Gartner, 5G will be launched by 2020 by 3% of the network-based mobile communications service providers. With the launch, 20.4 billion connected things will be used all over the world. 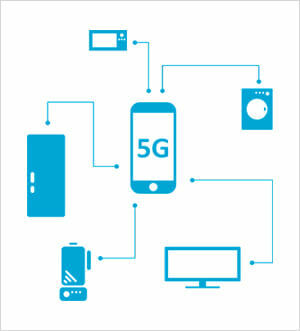 5G mobile connectivity will be powered by a new network infrastructure. This will give rise to an enormous number of IoT devices and sensors being deployed. It will play a key role in fulfilling the large-scale IoT projects and strengthening the interconnected world with more stability. With the completion of the first phase of the 5G deployment in 2020, every possible device will be connected to the network. The new network infrastructure will have higher speed and a huge capacity to capture data. This advantage will further provide the key areas of the urban settlements with smart facilities. Smart Traffic Management – network with a greater speed will enable smart street lights to monitor traffic flow. Car navigation system will help drivers optimise their route by avoiding traffic jams and spot a parking lot instantly. Smart Grids – grids connected with 5G will balance loads and reduce electricity peaks significantly. During blackouts, it will diagnose the problem in real-time and shift the load to other available transformer/device. Smart Homes – There are very few smart homes found in the world today. But with 5G rolled out, people will have their dwellings transformed smartly. 5G will enable users to communicate with ACs, refrigerators, lightings and other home appliances remotely using smartphones. Smart Healthcare – Advent of 5G will pave a way to new possibilities in imaging, diagnostics, data analytics and treatment. The superfast connectivity and connected IoT devices will curtail the response time and provide faster emergency services. Wearable devices will enable monitor of vital organs and minimize health risks. Connected Cars – The latency and wireless communication issues with 4G are not aligning well with the safety of automated vehicles. Driverless cars that are powered by artificial intelligence require a better bandwidth. 5G has the capacity to resolve the latency, and bandwidth issues making the autonomous vehicle reliable. The enhance coverage and speed offered by 5G will enable vehicles to connect with each other (V2V) and the road (V2X), exchange data and alert drivers of potential collisions. The super fast response from the data centre will be utilised in making the vehicles safer. What Will 5G require for the deployment? 5G will deliver a data speed of 100 Mbit/s and more. For the same, enhanced network infrastructure will be required to support mobile data consumption and traffic volumes. Collaborations are required to deploy 5G while leveraging different technology and architects. Furthermore, 5G network will be integrated with the potential of existing wireless technology like 4G LTE-advanced, HSPA+, and WiFi. This will be followed by extension of LTE with new frequency bands and enhancing its incorporation with Wifi. Nevertheless, possibilities are that new radio techniques, signalling protocols with new technology will be required to establish the 5G mobile connectivity with new spectrum above 6 GHz. Which Country Will Have 5G deployed first? United States – Verizon and AT&T are ready to roll out 5G in some of the major cities like Washington DC, Chicago, LA, Dallas by the end of 2018. Canada – Telus Mobility ensure Canadians will have the 5G network available by 2020. Vancouver area is likely to get an early access. Mexico – 5G will be available by 2020 but it could be deployed by 2019 depending on the availability of the technology during the given time. Chile – Entel, the largest telecommunications company in the country has collaborated with Ericsson to deploy 5G as soon as 2019. Argentina – Ericsson and Movistar tested 5G in 2017 and they are likely to deploy it by 2019. Brazil – The country will have 5G services operating from 2020. South Korea – SK Telecom tested 5G in 2017 and was successful in using it in self-driving test site called K-City. The country can expect 5G in the second quarter of 2019. Japan – NTT Docomo, the largest wireless provider is studying 5G since 2010 and plans to launch it by 2020. China – China Mobile is planning to deploy 10,000 5G base stations by 2020. It will have the service commercially available by the same year. India – Idea Cellular, one of largest telecom providers is partnering with Vodafone India in 2018. Vodafone upgraded its entire radio network in 2017 to embrace the 5G technology. India has prepared to welcome 5G by 2020. Norway – Telenor, largest telecom provider tested 5G in 2017 and is expected to provide the customers full 5G access by 2020. Germany – As per the 5G Strategy for Germany, published by BMVI, test phase will begin 2018 with a commercial deployment by 2020. Australia – Optus, second largest telecom company is aiming at providing 5G access by early 2019 “in key metro areas”. Vodafone is set to roll out 5G in Australia by 2020. With so many countries ready to welcome new speeds of 5G, we hope it reaps the best benefits for every city and every citizen.